The Kardashians are stepping out for close family-friend Jonathan Cheban‘s birthday! 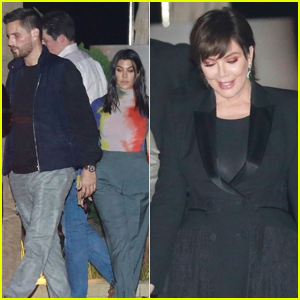 Kourtney Kardashian, Scott Disick, Kris Jenner, and Corey Gamble all stopped by Nobu for dinner on Wednesday night (February 27) in Malibu, Calif.
Also stepping out for the party was Kim Kardashian and Kanye West – who were spotted packing on the PDA as they waited for their car at the valet. Earlier in the day, Kourtney took to Instagram to share a selfie with Kim as they tried on some very freaky face masks! “Kim convinced me to use this face mask and I feel stunning,” Kourtney captioned the below selfie. 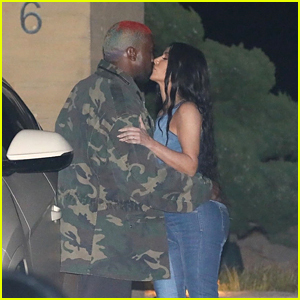 Kim Kardashian & Kanye West Share a Kiss While Celebrating Jonathan Cheban's Birthday! Kim Kardashian Wears Neon Green Outfit to Match Her SUV! Kim Kardashian Flaunts Curves on a Yacht in Miami! Kim Kardashian & Kanye West Attend Nas Listening Party in NYC!